Fat Yogi Cottages is a mix of modern and traditional Balinese style, only 300 metres from the famous white sandy Kuta Beach area, 30 minutes from the airport Ngurah Rai and near to the center of Kuta – shopping center and Kuta Art Market. Fat Yogi offer 26 rooms of standard, superior & deluxe room. Extra bed are available on request. 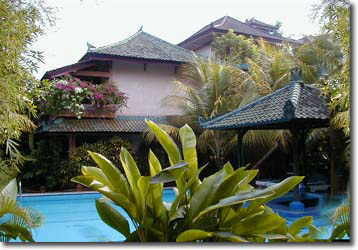 Our rooms are surrounded by tropical garden with a swimming pool & private balcony.